Every firefighter loves a good job shirt! 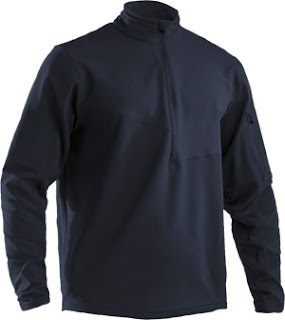 And recently, Under Armour came out with a slightly more professional-looking and dressy job shirt that has AllSeasonGear construction, meant to keep you dry and comfortable through all seasons. This job shirt now comes in Navy, the color that most firefighters prefer. The job shirt has the 1/4 zip that everyone loves, a woven polyester upper for extra durability and protection, a loose fit for comfort, on or off duty, and the choice of navy, black or desert sand. The great thing about this job shirt is it's able to be customized like the others. You can check out our Embroidery options and get this bad boy logo'ed up like all the rest of your job shirts. So go ahead and get yourselves acquainted with the new, Under Amour Job Shirts, today.